You can also perform a more selective search for churches in the Bishop Norton area or see them printed on a map. The Anglican parish church was dedicated to Saint Peter. There is a photograph of the parish church on the CurrantBun Church Photos web site. David WRIGHT has a photograph of the church on Geo-graph taken 20 October, 2005. The parish register dates from 1598 and includes entries from Atterby. The Free Methodists built a chapel here in 1865 and the Primitive Methodists built their's here in 1872. For information and assistance in researching these chapels, see our non-conformist religions page. David WRIGHT has a photograph of the Free Methodist chapel on Geo-graph taken on 20 October, 2005. Bishop Norton is a parish and village in the north of Lincolnshire, near the Ancholme naviagtion Canal. It is 9 miles west of Market Rasen and 13 miles east of Gainsborough. Atterby is a township just north of the village, which is part of this parish. By automobile, take the A15 trunk road north out of Lincoln and turn right (east) onto the A631 trunk road. After about a mile, you will be passing through Glentham. Turn north (left) and follow the signs for Bishop Norton. Ask for a calculation of the distance from Bishop Norton to another place. You can see the administrative areas in which Bishop Norton has been placed at times in the past. Select one to see a link to a map of that particular area. Norton Place, was the property of Sir Hugh Arthur Henry CHOLMELEY, baronet, in 1900. It is about 1.5 miles south-west of the village. Crossholme Manor is also in this parish. It is the seat of the ancient LAKE family. The village had a Cold War ROC (Royal Observation Corps) post. All surface features remain intact but the low mound on which the post stood has been removed leaving the ventilation shaft on top of an 18" concrete pillar and the access shaft on 8 courses of bricks. The ventilation louvres are missing and there is some damage to the ventilation shaft. The hatch is locked with a padlock and chain. For a photograph of the Bishop Norton War Memorial (It's the church Lych gate) and the names on the stone tablets, see the Roll of Honour site. 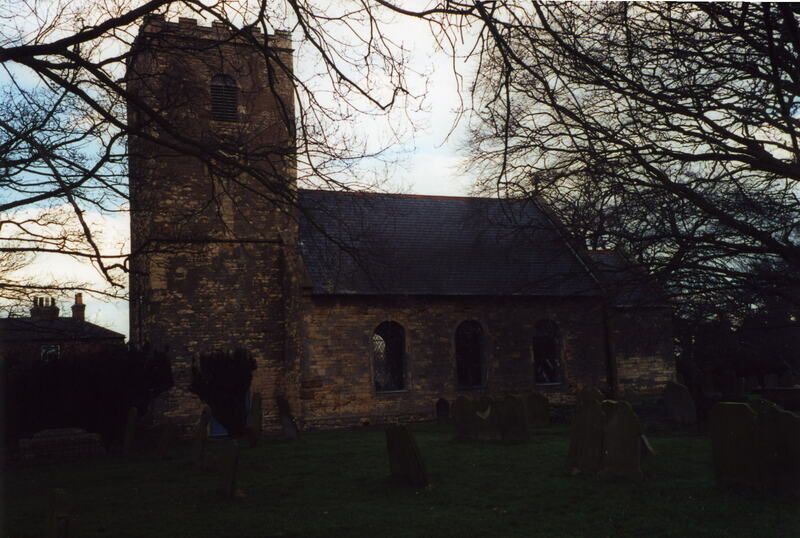 The parish was in the ancient Aslacoe Wapentake in the West Lindsey district in the parts of Lindsey. Atterby township was in the Soke of Kirton. Bastardy cases would be heard in the Lincoln Bail and Close petty session hearings. A Mr. GELDER, date unknown, left 5 shillings a year for the poor of this parish. A National School was built here, by subscription, in 1872. It could hold 100 children.